When I was a little girl my grandma used to crochet blankets, hats, scarfs, even sweaters for my dolls for me. 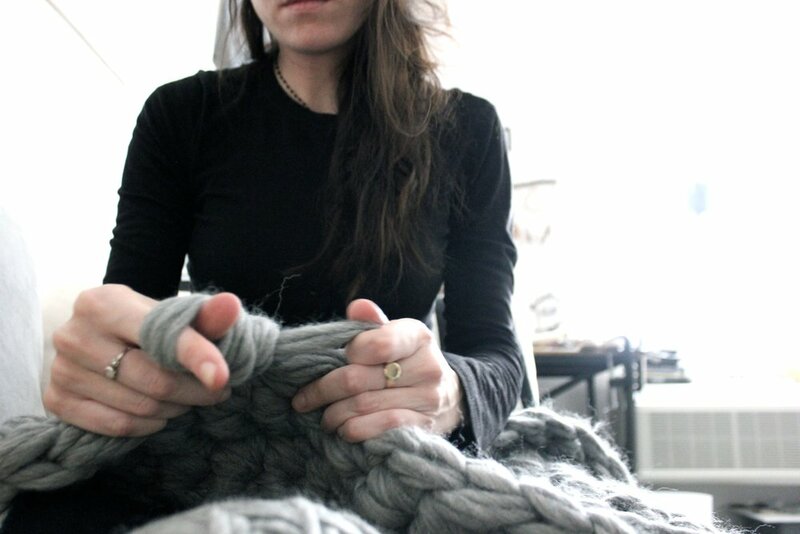 I used to admire her so much when she would knit. She tried teaching me a few times, I remember enjoying it very much but I was so young I don't even remember what I ever did with those crochet sticks. I recently came across a crochet crafting class in Denver but due to my schedule I was unable to attend. I was so grateful Anne, the teacher of the class reached out to me inviting me to her home for a couple hours this past Sunday to learn the basics of crochet (hand crochet that is). 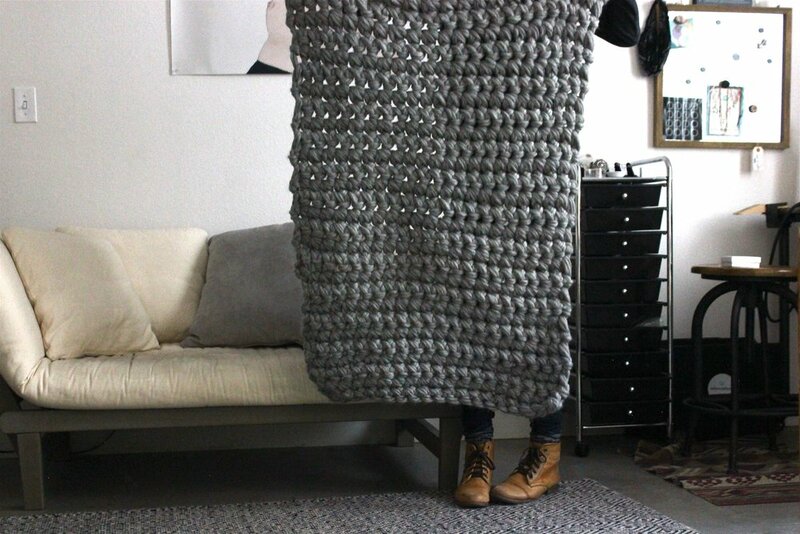 I didn't even use any tools except my hands to make this blanket. She got me started on it and I picked up the craft pretty quickly. I came home and was so excited to work on it the last couple nights. I think the hardest part was keeping the wool from tangling. I am so happy with how it came out! It's 100% peruvian wool. 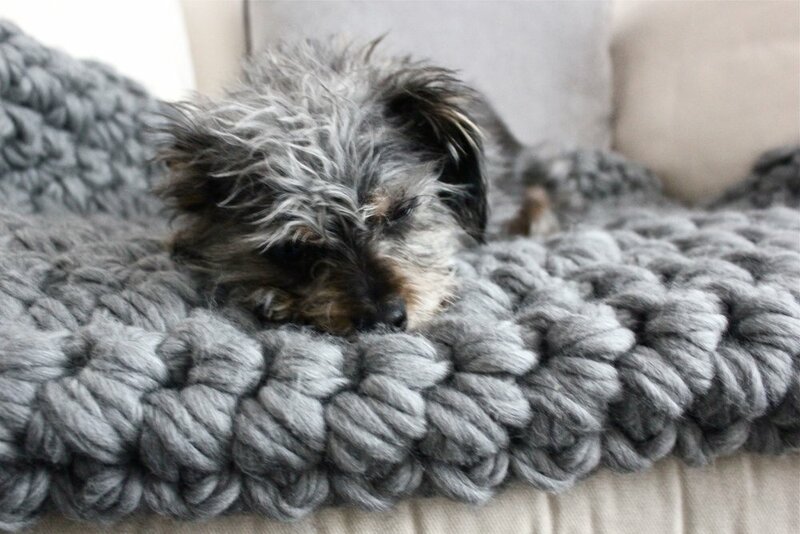 Super soft and cozy! Roman loves it too, I can't keep him off it. 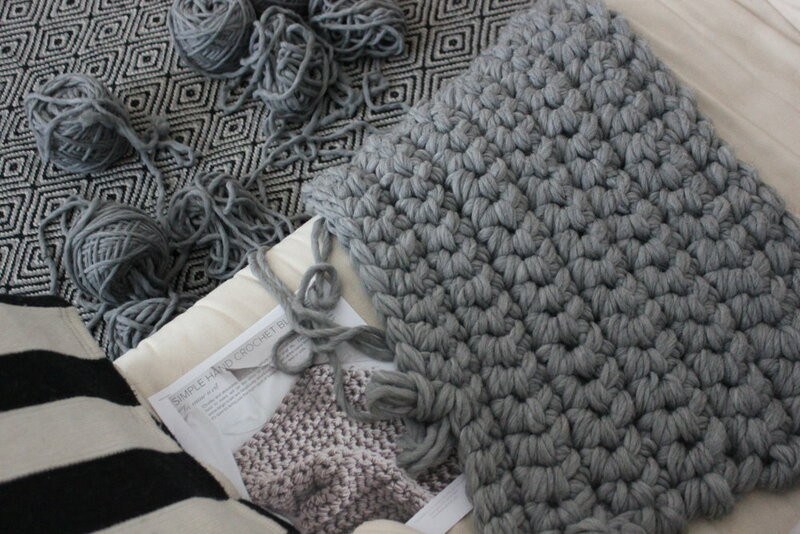 Here's a lil photo diary of the making of my first crochet blanket. Also, if you're interested check out Anne's website for beginner crochet and knitting patterns and kits.